Mayfield Village Ohio Homes for Sale – Mayfield Village Ohio is perfect for people who like exciting, busy suburbs. Mayfield Village is full of things to do and tons of places to eat or shop! There are a lot of parks for young families to take their children to burn off some energy. Mayfield Village is ideal not only for someone that works local, but also the person that needs to commute. The city is by many main roads and highways and isn’t far from downtown Cleveland! Hillcrest Hospital is located in Mayfield Village that allows for more employment opportunities. Mayfield Village is also well known for the yearly festivals enjoyed by residents and visitors. If you’re looking for a booming suburb not too far from downtown Cleveland, Moreland Hills may be for you! 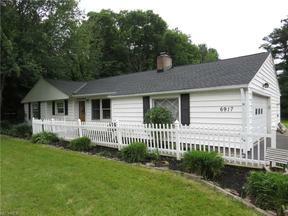 Search below for Mayfield Village Ohio homes for sale. Contact our Sales Team for more information about Mayfield Village Ohio homes for sale.